ShortScale :: View topic - Bought some new toys this weekend.... RECORDING TIME! Bought some new toys this weekend.... RECORDING TIME! 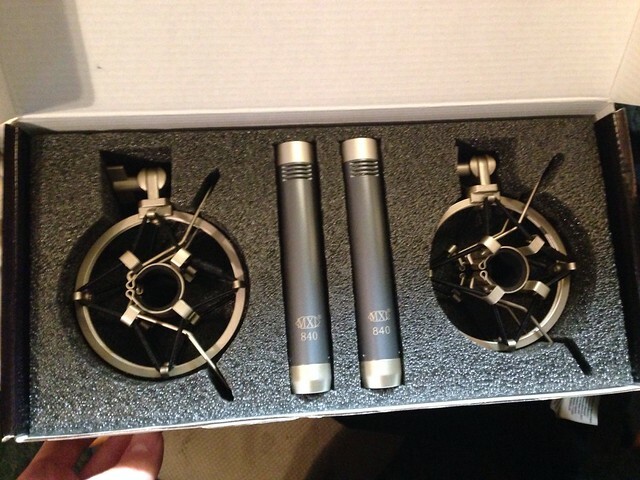 Posted: Mon Mar 17, 2014 10:30 pm Post subject: Bought some new toys this weekend.... RECORDING TIME! In my band, we record ourselves. I went to a studio a while back and payed quite a bit of money and the mixing wasn't really that great.. It's a lot cheaper over all as well. We have been getting a better sound ourselves and it is really fun to learn and go through all the processes. 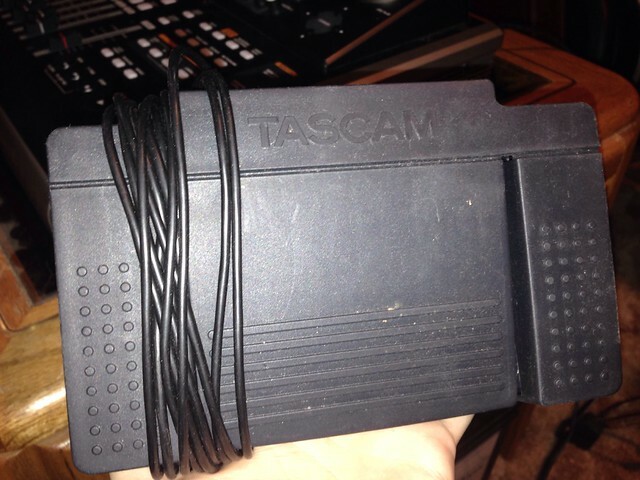 We have been using an old Tascam 2488 for a year now and a few dynamic mics. We have been getting a good sound but we thought it was time to get some better things. 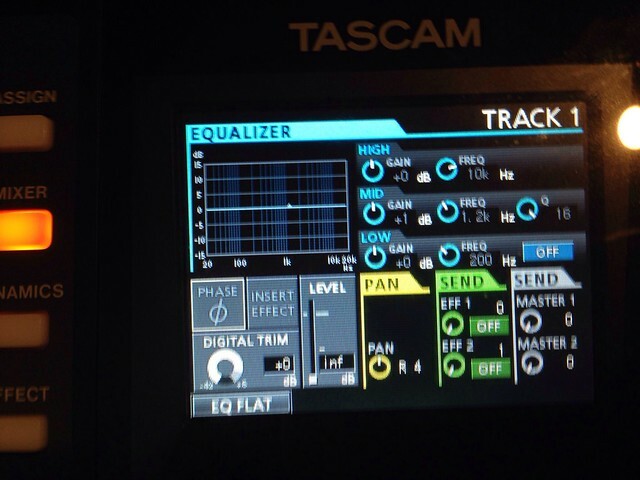 We swear by the Tascam so why not get a newer one? 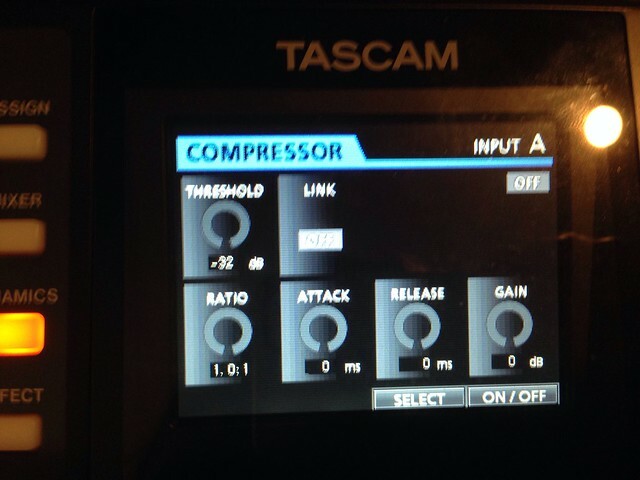 I looked in to getting the Tascam Mkii and bidded up to $300 on one on ebay but then realized it really isnt that much of a step up from the 2488 so i dropped my bids. lol. Then i went on guitar centers used site and there to my surprise, a DP-24 was just added for only $300! So I bought that quick haha. Then over the weekend me and my guitarist went to a local guitar center to get better mics. 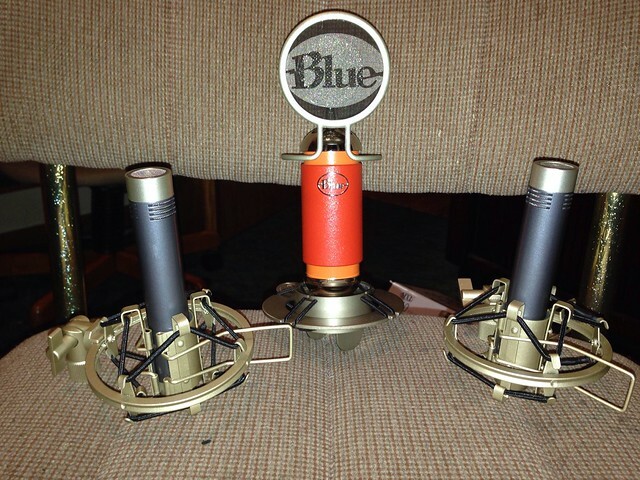 We ended up getting MXL 840 Small Diaphragm condensers that just went on sale for $100 for two of them with shock mounts for drum overheads and a Blue Spark condenser mic for vocals. 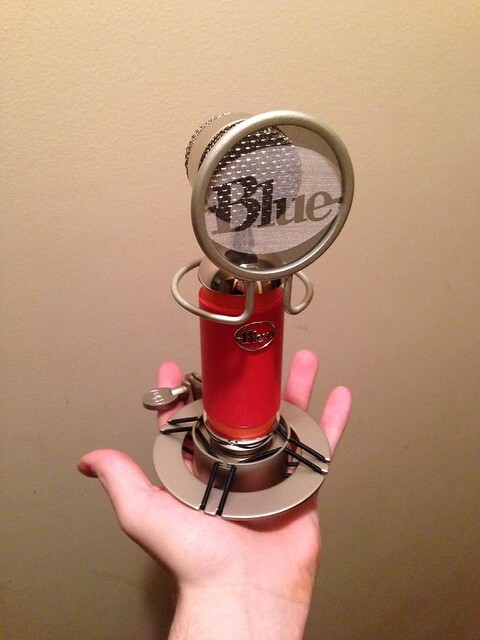 And we got a real pop filter haha. No more using dryer sheets. Came home and tested them out. The condensers sound really good. But the best thing was the Blue Spark. It sounds incredible for vocals. So smooth and crystal clear. We used the two over heads on the drums, a samson drum mic on the top of the snare, a samson drum mic on the bottom of the snare, and a sanson bass drum mic on the bass drum. 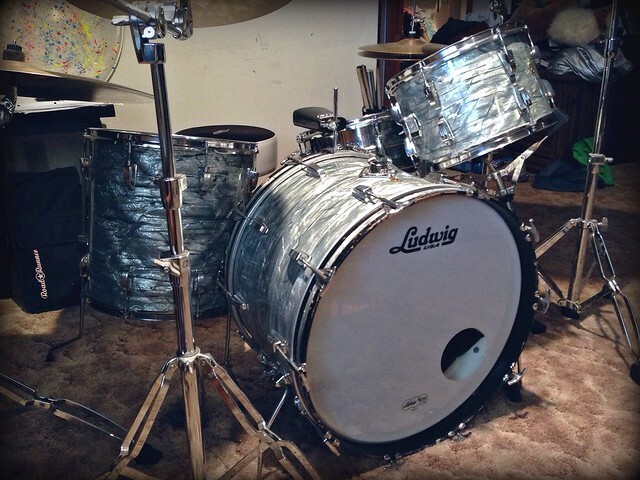 I just setup my vintage 1968 Ludwig Sky Blue Pearls with new heads and fine tuned them. They sound great. 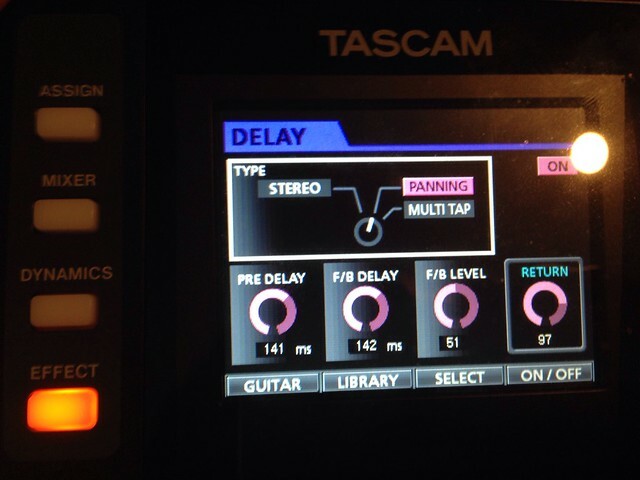 The guitar was plugged straight in to the Tascam from the Cybertwin SE. Really great amp by the way. 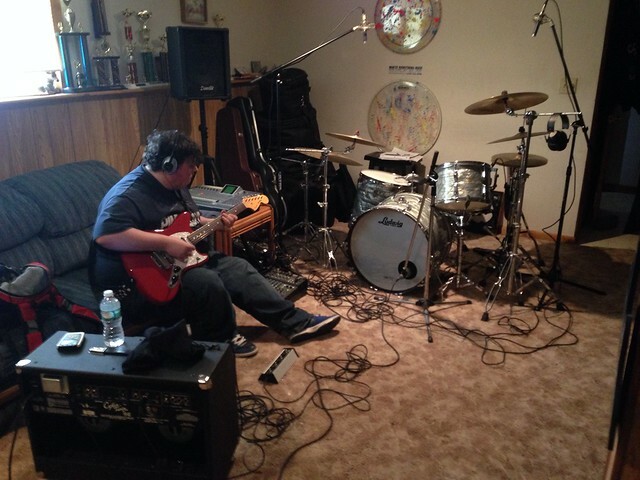 Our other guitarist wasnt there but he usually plugs straight in to the tascam too from his Marshal. Then we play a song live just to get a solid drum track and a guitar base track. That way we can avoid using a click. 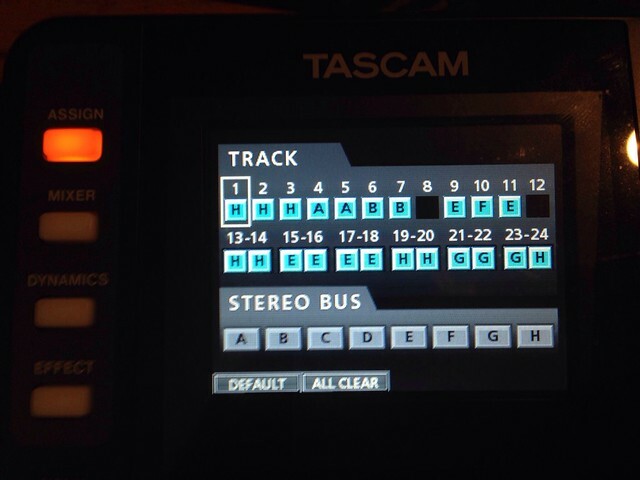 There is no overbleed either because the guitars are plugged straight to the tascam from the amps. After that we overdub the guitar tracks, solos, and bass, then do the vocal tracks. After that we export all the raw tracks to a computer and it gets mixed with Reaper and some Mastering program I'm not sure about. My guitarist does all of that stuff. But anyway... 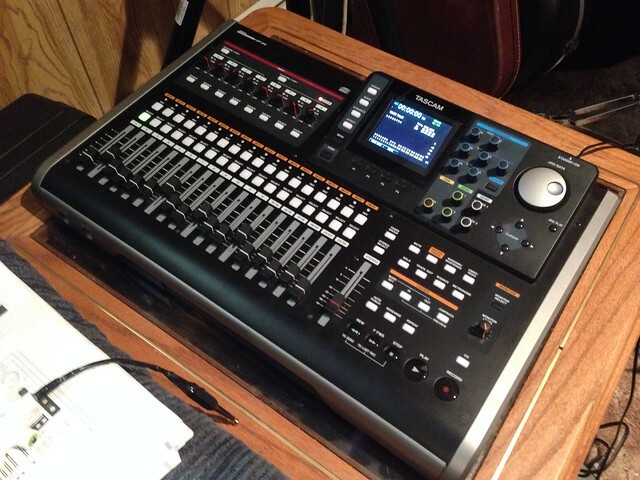 The new Tascam came today. It is such an upgrade over the 2488. It is so nice to have a beautiful color lcd screen now and 8 XLR inputs with phantom power. An extra bonus... it came with the original booklet, the footswitch (which is an extra $50 new) and an HD 32GB memory card! They aren't that cheap. 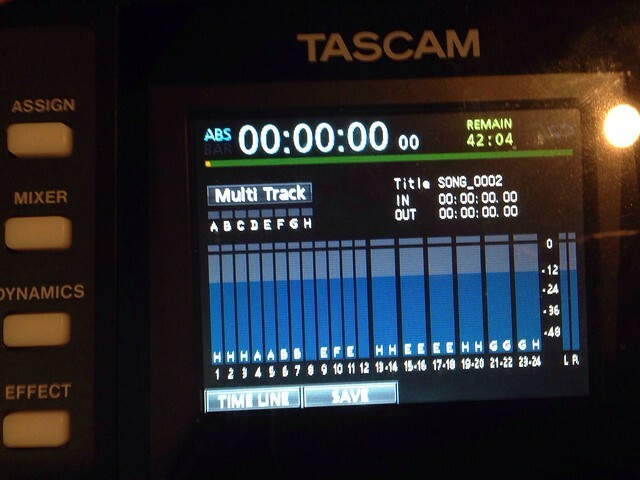 So that's over $100 in extras and the Tascam itself is like brand new. The original owner couldn't have used it much. $300 is a hell of a deal. There's two online right now that are used and going for over $400 with bids and a few hours left that dont even have these extras. Back to the recording.... My guitarist is still mixing, so I will post the song when it is done. Here are a few pictures for now. I'm super stoked to start recording with all this stuff! Notice our old Tascam 2488 there in the back. And thats the Jag-Stang Blaze It I still have it haha. Not sure if this should be in the other thread or not. It is gear... If it should can a mod please move it? Thanks! What's the gist of this thread - showing gear or going on to discuss recording methodology and results? Yeahhhh, sorry about all those run on sentences. I just edited it. Lol. And both. I'm gonna be giving a demo once it's mixed and to talk about my recording technique and see if anyone has any suggestions. We are thinking about micing the toms too. Coolio, I'll move it to the recording sub-forum and leave a shadow link here! Be good to attract some more traffic there and this looks like a great thread. Moar updates!